ROAD TOWN, Tortola, VI- Former Managing Director of the BVI Ports Authority Mr Claude O. Skelton-Cline has distanced himself from the port project cost of $50M which had been submitted when the project was in the form of a public private partnership. He made the disclosure at his press conference held at the studies of CBN Channel 51 on Tuesday evening April 12, 2016 during which he spoke of “9 percent” of everything that could allegedly be disclosed about the project. 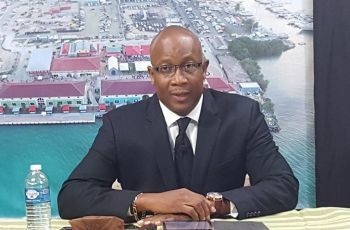 "I want to state on the record again tonight [that] never once in my tenure at BVI Ports Authority as Managing Director of the BVI Ports Authority have we given the government a budget that says that the total development cost of this project would be $50 million," Mr Skelton-Cline said. Following the disclosure by Minister for Communications and Works Honourable Mark H. Vanterpool about the cost of the total project being $82.9 million and counting, critics asked how it was the project escalated from $50 million to almost $83 million with many aspects of it still to be completed. "We have never represented any such thing to the government as we were the agency that was charged with the execution of this project the only figure the only number that we have given to the government as it relates to this project was a budget for $79 million dollars and some change... that's the budget... it's a line item budget that was given to the government as relates to what this development will cost and I want to make that very clear. So the notion that somehow it was $50 million and it ended up being $80 plus million and $30 million dollars just goes to it it's just ridiculous and it's not based on anything factual," he said. Mr Skelton-Cline said the project was first a public-private partnership with a consortium which represented that they could have built the development for x amount of dollars and there would be some contributions of community efforts along the way. However, because this team was unable to achieve financial close in the time that the government had allotted, it was at that point the project went to another procurement process. Skelton-Cline said that the public private partnership would have afforded the opportunity to complete the project at a cheaper cost because the equipment would have been owned in some cases by the private partnership. He said too that the minute the project changed in its orientation there was no way that it would still be built for the cost of $50 million. Skelton-Cline's three year contract with the government as the BVI Ports Authority Managing Director came to an end at the end of November 2015 and it was not renewed despite the Minister for the subject praising him for a job well done and Skelton-Cline allegedly being given the assurance that it would be renewed after the June 2015 elections. Bro. Claude I am on your side. I want you to do one thing though, Keep Silent! You know the word let the Almighty Creator fight your battles for you. Nuff said. Someone or all those involved have some explaining to do because an entire election was possibly hijacked based on possible deceptions. @wize up. Thanks for your perspective, as well as for some of your other comments, even the funny ones. Now how do we get the justice system to do their job? Nevertheless, I will take your feedback into account the next time I post. Enjoy the rest of your evening. @wize up. I did posted another comment vilifying you for part of your comment about your options, but now I can see that you're ok, just wants the best for our country all around. So I hope they do hold back my last comment. One Love. I did reply to your last comment vilifying you for saying that there were no options in candidates for last election, which in my opinion they were, but now I can see that you are ok, just looking out for what’s best for our country. I hope they replace it with this comment instead. "He said too that the minute the project changed in its orientation there was no way that it would still be built for the cost of $50 million". So indeed, the cost DID explode regardless of his explanation, the public should have been told or it should have been brought to legislature. If that is the case, then the minister of finance was VERY irresponsible. Indeed, the MoF may have been very irresponsible, but what will be the consequences? but he is a lousy manager. the press conference did not help him as CSC base instincts; pettiness to the point of cutting of one's nose to spite their face! Where are the police when you need them???? I must admit to being a bit confused here. is he throwing his Minister under the buss? Time to be quiet Clyne. Silent. Let Ronno and Kedro fight your Battle for you.. The more you talk the guiltier you sound.. If the estimated project budget was $79million, then this amount should have been listed as the expenditure line item, with an offsetting line item to record the expected revenue stream from public/outside sources. We the people have to understand that when government takes on project, for sure the procurement figure will go beyond. Exhibit" A "the new Peebles Hospital. If the original budget was $50 mil, what did you do with the additional $34 mil? Claude you have to give more than 9% explanation. It seems that Claude Cline is just laying the ground work for his case by claiming that the revised budget of 79 million was approved by the Cabinet which shows that he executed the project for the most part within budget. The 4 million dollars over expenditure is reasonably expected for a project of this magnitude as it falls within 5 percent. So he is basically saying I did a good job and it was reasonably expected that my contract would be renewed. 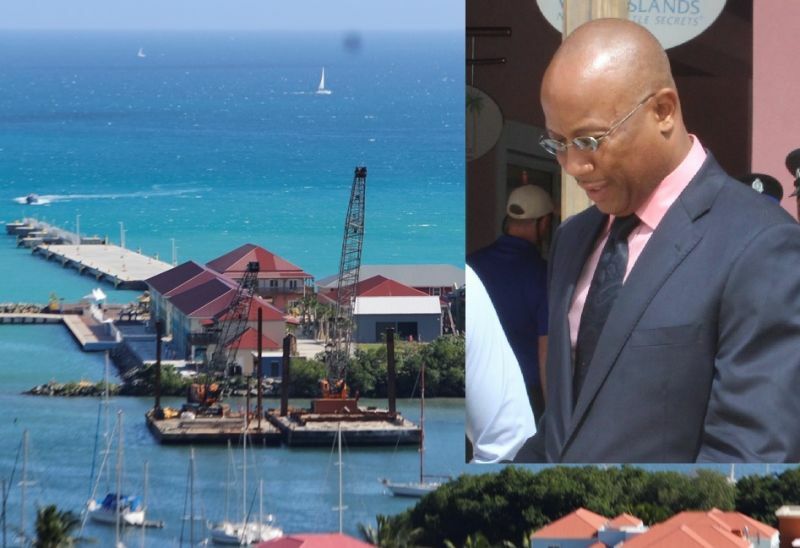 This along with the evidence that the board recommended that his contract be renewed and the Minister saying that he did a good job could also help his case. What is most disconcerting is that the budget estimate went up by 29 million and the people were not informed of this. Why did they not come back to the people and explain the cost had risen? Did they go through the necessary protocols to get the additional financing that was required? Why not cancel the berthing agreements and downgrade the project?? Where is the transparency? Where is the Government in the sunshine?